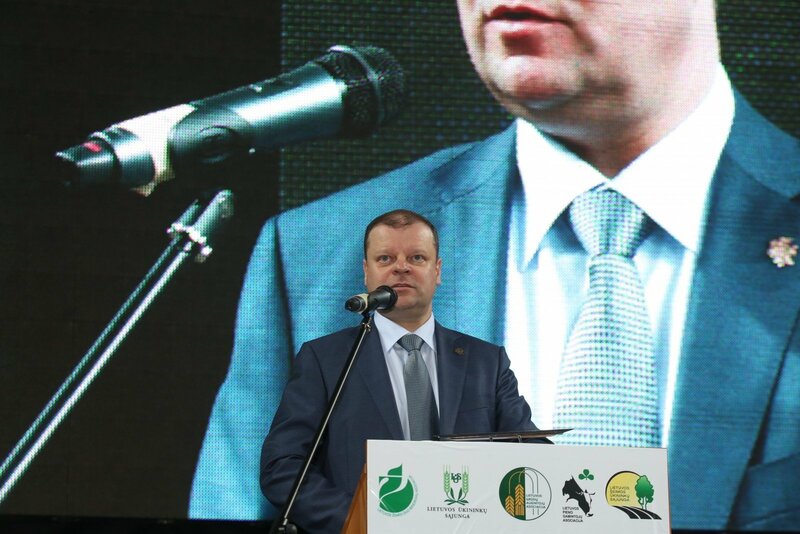 Prime Minister Saulius Skvernelis has not announced his participation in the presidential elections, however his statement that Lithuania should renew relations with Russia leads, according to political scientists, to the conclusion that it is the beginning of his electoral campaign. Apparently in the future this topic will be exploited a number of times again because a specific part of the public is being targeted. Apparently, this way the PM is seeking to show he will be different to Dalia Grybauskaitė, who immediately rebuked the prime minister's statements by stating that contact is only possible with friendly states, LRT.lt writes. Political scientists believe that the prime minister is acting irresponsibly because he is raising the public's expectations that we can cooperate with Russia at will, but is remaining silent on Russia raising its own conditions for bilateral relations. On the other hand, this could also erase the efforts Lithuania has made in the international arena in proving Russia's threat. The Lithuanian head of state stands by a strict position in terms of Putin's Russia, hundreds of thousands of whose troops participated in an exercise next to the Baltic States and Poland's borders last autumn, rehearsing a scenario to attack its Western neighbours, while this week it moved short range Iskander ballistic rockets to Kaliningrad, which can carry a nuclear payload, promising to become a constant threat to European countries in a range of 500km. The Lithuanian president constantly reminds that Russia breached the UN charter by attacking Georgia in 2008 and annexing Crimea in 2014, while also continuing to wage war in Eastern Ukraine. As such, D. Grybauskaitė urges – until the Kremlin changes its aggressive policy at least in Ukraine, sanctions against Russia should not be lifted. 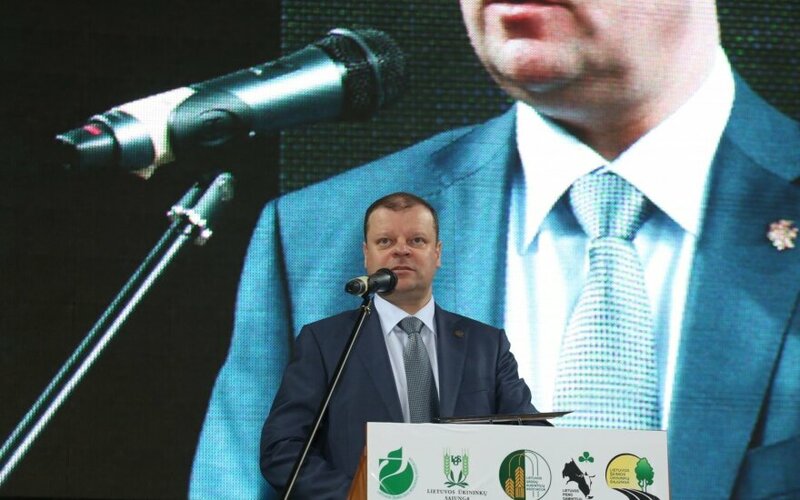 However, head of cabinet Saulius Skvernelis has taken to doubt the benefits of such a Lithuanian stance and proposes to renew dialogue with the Kremlin, to restore the abandoned Russian-Lithuanian intergovernmental commission's work. "We are perhaps the only EU state which has no contacts at the political level, even vice minister level. Having political contacts, even if not on the very highest level, is a must," the PM told Panorama on January 4. According to S. Skvernelis, this dialogue could encompass transport, economics, energy, education and culture, while also not backing away from value positions over Ukraine and the Crimean annexation. "Bilateral high level contacts can only proceed with states demonstrating friendly relations," D. Grybauskaitė responded to this, adding, "It would be naïve to imagine that economic relations separate from politics, are possible with this country." Minister of Foreign Affairs Linas Linkevičius reminded that, "The last meeting was held in Lithuania in October 2011, after which the Russian side delayed and another meeting was not held." According to the head of Lithuanian diplomacy, there are currently no premises to restore the operation of the intergovernmental commission. The PM was dissatisfied with the minister's opinion. S. Skvernelis commented on it in January that, "The foreign minister sometimes thinks that he isn't a member of the cabinet, but that is what he primarily is." However, the work of the Russian-Lithuanian intergovernmental commission ended well before the Crimean annexation. At the time, Moscow demanded to not monitor trains travelling through Lithuania in transit to Kaliningrad and the Kremlin gas monopoly Gazprom was punishing Lithuania with the largest gas prices in the region and the entire EU. Lithuania was "offered" to also relinquish the construction of the liquefied natural gas terminal. Former EU ambassador to Russia Vygaudas Ušackas is strictly against the divergence of statements between the chief officials of state. According to V. Ušackas, this causes confusion in more than just the heads of Lithuanian citizens. "We cannot send mixed signals to the people of Lithuania, who are left confused – who knows, are we to be friends with Russia and hug or instead should we be digging trenches?" the former EU ambassador to Russia emphasises. However, the former ambassador, who now does not hide his intentions to run for president, does agree with some of S. Skvernelis' proposals. "I believe that we could begin from the vice-ministerial level – their contact, meetings. Not necessarily in Moscow, not necessarily in Vilnius. There are various European Council, cooperation organisation meetings, simply to send the message that we are not closed off and that just like the EU, we are maintaining minimal contact, but not making friends and relinquishing our principles of supporting Ukraine and such," V. Ušackas said. The former ambassador's words that the lack of a joint position at the top of the state leaves its citizens confused was confirmed by public opinion surveys. On January the RAIT agency held a survey asking respondents whether they agree with the prime minister that Lithuania should renew relations with Russia, to which 52% responded "yes", 26% "no" and another 22% did not have an opinion. However almost at the same time, a survey commissioned by the Conservatives from Vilmorus asked, "Should Lithuania develop closer relations with Russia even if it would harm Lithuanian security?" More than a third (34.4%) answered positively to this, 37.8% voted against, 22.8% did not have an opinion and another 5% refused to answer. Another survey commissioned by the Ministry of Foreign Affairs in December shows that the absolute majority – 65% of respondents – identified Russia as the state, which is most unfriendly and most threatening to Lithuania. Following Russia the list featured Belarus, which was viewed negatively by 18% of respondents. Political scientists are critical of PM S. Skvernelis talks about a renewal of relations with Russia, calling them irresponsible; potentially able to make null Lithuania's efforts in convincing the world what threats the aggressive Kremlin policies pose. Meanwhile they are also convinced that this is the beginning of the prime minister's electoral campaign, making use of the topic of Russia as a driver for his campaigning. "We must realise that this talk is a sort of desire by S. Skvernelis to find a distance to the current president and potentially create a sort of pre-electoral base. It would appear that S. Skvernelis found this separation in the topic of Russia," Vilnius University Institute of International Relations and Political Science (VU TSPMI) lecturer dr. Nerijus Maliukevičius commented. "If it is based on his desire to receive support in the coming presidential elections or maintain his current authority, prestige in the country, then it is certainly a cheap and harmful means because he partially erases the efforts made by other state leaders, consistently trying to explain the threats posed by Russia," VU TSPMI professor dr. Tomas Janeliūnas emphasised.